We will have an open studio on December 2nd. for the Atascadero Art & Wine Tour. Stop by to check out some great art, wine and food. 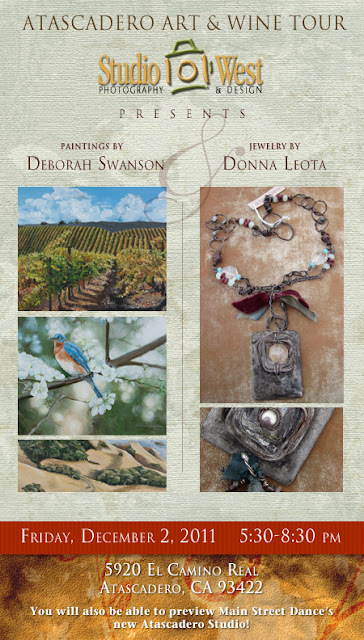 In conjunction with the Atascadero Main Street Association, central coast wineries and local artist.